Brianna Thielmann is a Vancouver based health and wellness coach as well as a Registered Holistic Nutritionist and Kinesiologist. She graduated UBC with a degree in Human Kinetics and Psychology and is part of the BC Association of Kinesiologists. As an avid learner and with her passion for helping people become the best version of themselves possible, she continued education at the Canadian School of Natural Nutrition as well as Precision Nutrition. Growing up as a competitive soccer player and devoted exerciser, she knows the importance of nutrition for performance as well as how to find balance in general life with physical, mental and emotional wellbeing. With her holistic approach, Brianna aims to help people reach their goals and live life as their most authentic self through effective coaching in nutrition, mindset and movement. 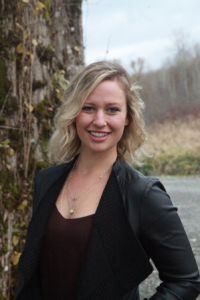 As part of the extended Health & Wellness Team at Fraser Valley Academy of Dance, Brianna provides personal nutrition coaching as well as Nutrition and Kinesiology Workshops. Please contact the FVAD Office to set up your personal coaching session with Brianna.